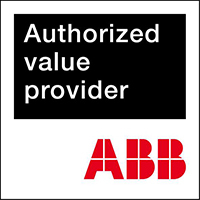 Polar-Automaatio Oy is a high-tech service provider specialised in industry electrification and automation. With our 30-year experience and broad process and system expertise we deliver turnkey solutions for automation and electrification, as well as design and implement systems from preliminary plans to implementation. In addition to turnkey deliveries, we provide design, assembly, connection and testing of systems, control consoles and control housings, among others. Our staff consists of an experienced and skilled group of engineers. We have access to modern facilities and planning tools for electronic documentation.